When you want to add a pop of color on your way out the door, this Positive Outlook Square Satin Striped Scarf will be the perfect addition to your outfit. This scarf features a semi sheer and opaque stripe print perfect for adding a layer without adding bulk. It is a great transitional scarf to wear when the weather changes from season to season. You can add a tad bit of warmth yet still look chic and fashionable. This scarf can be tied around your neck or over head if it is raining and you need to protect your hair. This large size is versatile for many ways to wear this beautiful scarf. This scarf is the ultimate accessory for casual outings, going to museums, shopping, traveling, or to give yourself a positive outlook. 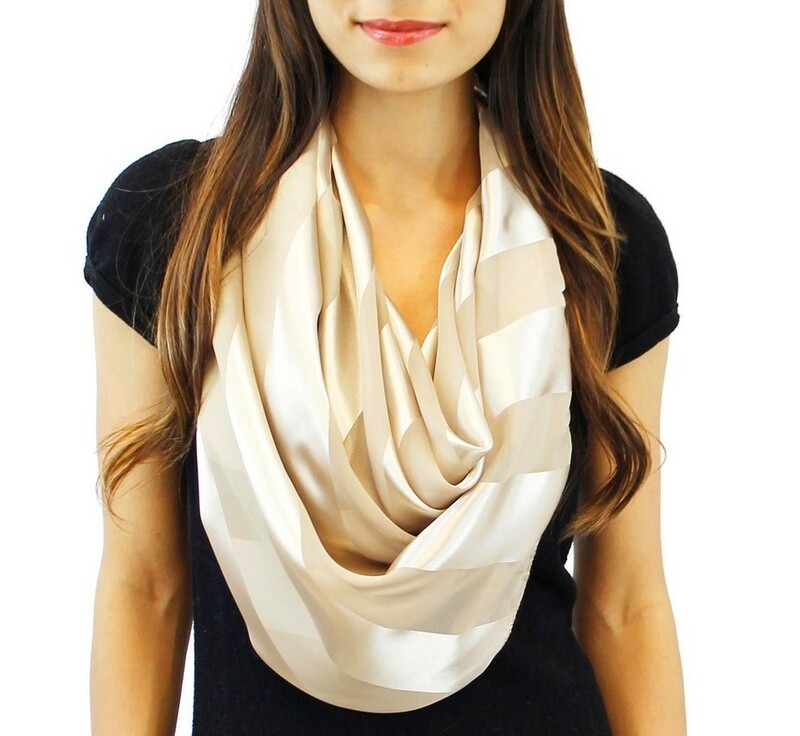 This satin striped scarf is made from 100% Polyester. It measures approximately 42 inches (107 cm) square. This scarf is available in an array of lovely colors. Choose a color that suits you best or stock up on more than one. You will be glad you did.